Do you struggle with troublesome sagging skin on your face, neck, décolletage, or beneath your chin? Ultherapy® at Skin Care Institute in Tulsa, OK may be able to help! Ultherapy is an FDA-cleared, non-invasive procedure that utilizes the body’s own natural healing powers to tighten and tone loose skin with no needles or surgery involved! Ultherapy uses ultrasound technology to target the deep foundational layer of the skin without irritating the surface. Natural collagen production is stimulated due to the focused energy produced by the ultrasound device. Collagen is a substance in your skin that produces its youthful elasticity and smooth glow. As we age, collagen production slows down and our faces begin to droop and sag. But Ultherapy in Tulsa, OK can revive the production of collagen so your skin can be naturally fresh and beautiful. 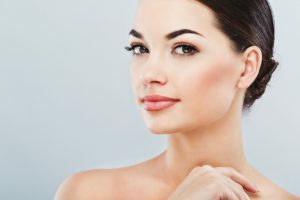 While not a replacement for surgery, Ultherapy is a fantastic option for those who are not yet ready for a surgical facelift and simply want a long lasting touch up. Results will appear gradually over the course of two to three months as collagen is created and begins to tighten and tone your skin. Schedule your complimentary Ultherapy consultation at Skin Care Institute in Tulsa, OK by calling 918.948.9639.